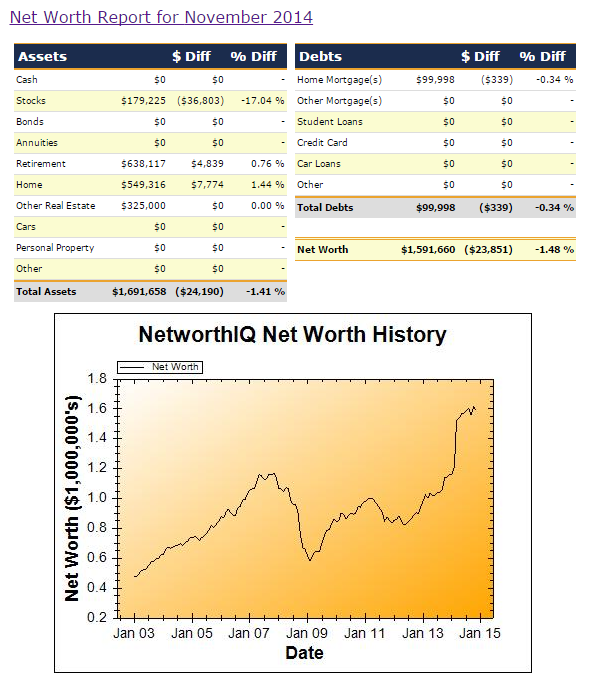 Net Worth was down slightly during November, despite another monthly gain in the valuation of our house. This was due to the Australian stock market suffering a dip during November (but this has already been largely recouped during the first week of December). My SMSF account actually increased during November despite there being no employer contributions deposited during the month and the drop in the local stock market. This was because our investment in Vanguard LifeStrategy HighGrowth Index fund gained value, probably due largely to the drop in the Aussie dollar pushing up the value of unhedged overseas investments.